Not to scare you or anything, but if the summer vacation was a 100 meter race, we have less than 10 meters to go, and in Usain Bolt terms, that’s less than a second. 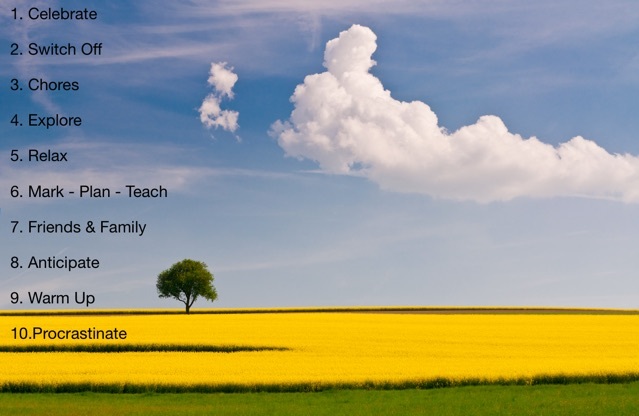 Recently, one of my favorite education bloggers Ross Morrison McGill wrote his thoughts on what teachers actually do during the sumer vacation. He wrote 10 paragraphs, each one taking us through the chronological journey of the weeks that we spend away from school in the summer. I think Ross’ observations were pretty accurate, and so having celebrated another good year at school, switched off for a short time, I started work on that ‘honey-do’ list. 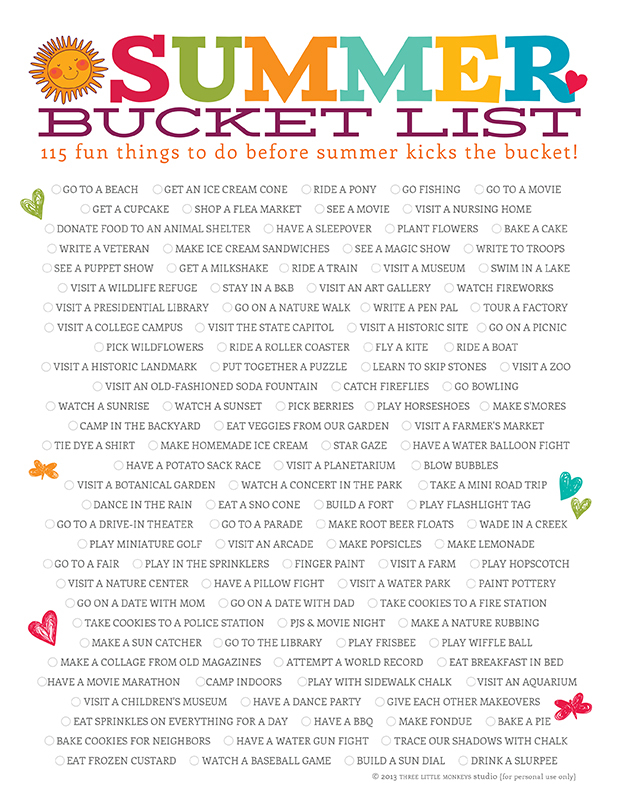 My summer bucket list items were my ‘exploration’ which included some relaxation, I researched new health education ideas, mostly through this blog and the #slowchathealth tweets and I’ve just got back from a family road trip to Washington DC to visit my brother….which puts me at stage 8 – ANTICIPATION! I’m at that point in the summer holidays when the thought of returning to school raises my heart rate and thoughts of school enter my head when I’m trying to fall asleep keeping me awake as I visualize lessons yet to come. Both of these are positives in my mind. As long as our summer vacations can seem, I always reach a point when I feel that I am ready to return to school and am anxious to implement new ideas, meet new students and take on new responsibilities. My WARM UP for school will involve me filling out key dates in my scheduler, checking those dates with my wife, and writing out syllabi and introductory letters for students and their parents. I will start setting my alarm clock progressively earlier in an attempt to get my body clock back in tune with the school day. I’ll make a trip to Target to top up on stationery items and print family photographs for my desk and a drive to the Nike outlet for new back-to-school sportswear. I’ll also spend valuable warm-up time trying to complete more items on that ‘honey-do’ list from June. Finally, I’ll reach out to the teacher who I will mentor this year, touch base with my club co-sponsors and email the families of the boys in my Advisory. On the eve before ‘Back to School’ I probably won’t get any sleep as I’ll be too anxious/excited for the start of the school year and there will still be vital last-minute planning needed that I hadn’t quite got around to completing. Next week we will look at goal setting (NHES 6), both in terms of teaching the skill to our students but also how it relates to us as teachers and our own professional goals. A number of teachers have already recorded an audio version of their goals and these will be shared in podcast form next week. If you want to participate, read this document for further instructions.